WHOIS privacy is a protection service offered by most domain name registrars and third-party providers. This service helps prevent people from looking up WHOIS information on your domains. Rather than paying annual fees per domain to protect your privacy, learn how you can use your VirtualPostMail Mailbox to get WHOIS privacy service for free. If you use your home address to register your personal domain names, everyone knows exactly where you live. If you have a home-based business and you register your website using your home address, you instantly reduce your credibility. The WHOIS information no longer reveals you as the real registrant. Instead, it displays the name and contact information of the domain proxy company. Sounds like a great way to protect your privacy, right? Many people do use it for exactly this purpose. Unfortunately, spammers and scammers also use these services to hide their identity. If you use your website or blog to make money, then using domain proxies may possibly hurt your credibility, because your site visitors may associate you with those scoundrels. Rather than using a domain privacy registration service, you can use your VirtualPostMail address instead. 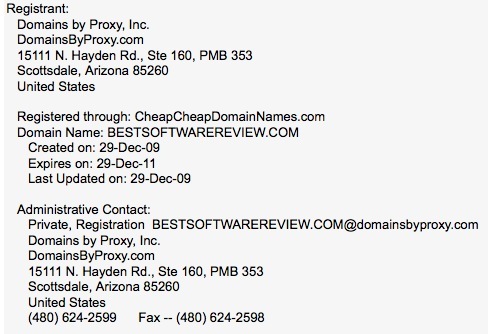 Your domain registrant information shows your real business name, not some generic "Domain Proxy Company" name. Your address is also a real street address, so it looks professional. Using your VirtualPostMail Mailbox can also save you money if you own many domains. Most domain privacy services charge you an annual fee ranging from $8 to $20 per domain. This can quickly add up if you own more than a few domains. Rather than pay extra for this service, you can use your mailbox address for as many domains as you like. Your mailbox basically comes with private domain registration service for free! It is the perfect way to save money and protect your privacy at the same time. 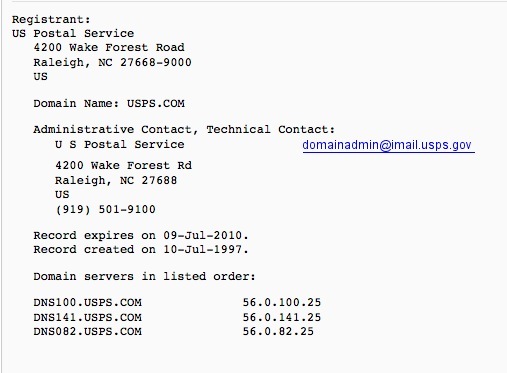 So next time you register a domain name, stay safe by simply using your own name and your VirtualPostMail Mailbox address for the registrant information.